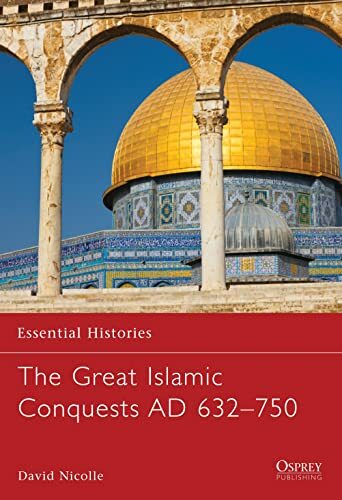 [PDF] The Great Islamic Conquests AD 632-750 (Essential Histories 71) | Free eBooks Download - EBOOKEE! Posted on 2018-01-02, by luongquocchinh. Description: Few, if any, centuries in world history have had such a profound and long-lasting impact as the first hundred years of Islamic history. In this book, David Nicolle, a former member of the BBC's Arabic service, examines the extensive Islamic conquests between 632 and 750 AD. These years saw the religion and culture of Islam, as well as the Arabic language, erupt from the Arabian Peninsula to spread across an area far larger than that of the Roman Empire at its greatest extent. It also saw the abrupt collapse of the Persian Empire, as well as the permanent withdrawal of the Romano-Byzantine Empire and its associated cultures, along with Christianity as a ruling faith, from the Middle East and North Africa. Virtually all the lands "opened" by their armies remain Islamic - and in many cases Arabic-speaking - to this day, in contrast to the often ephemeral achievements of better-known conquerors, such as Alexander the Great and several Roman Caesars, and the effects of this rapid expansion was to shape European affairs for centuries to come. No comments for "[PDF] The Great Islamic Conquests AD 632-750 (Essential Histories 71)".